SAN FRANCISCO — How many NBA fans remember that former Detroit Pistons star and NBA Finals Most Valuable Player Chauncey Billups began his career with the Boston Celtics? 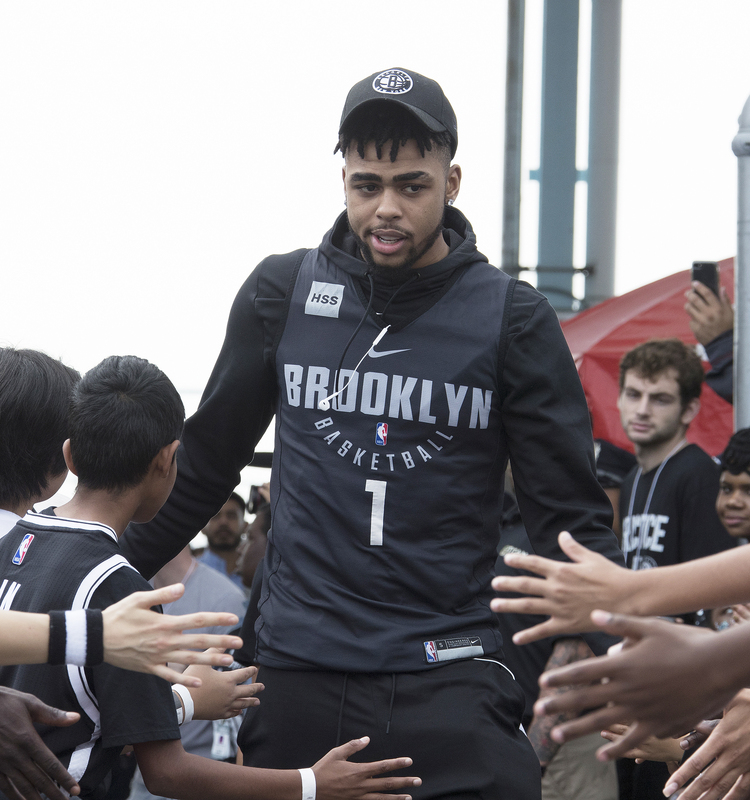 While much of what happened with the Los Angeles Lakers may be tough to forget, Brooklyn Nets guard D’Angelo Russell hopes that one day fans will barely recall his rough start in the NBA. 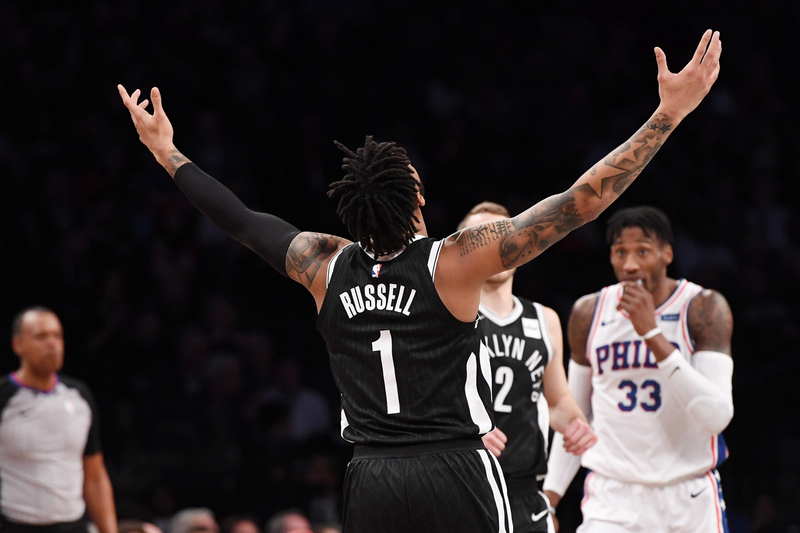 “A lot of guys take advantage of their opportunity after they get traded or after they get drafted somewhere and go to another place,” Russell said after shootaround on Tuesday, hours before scoring 22 points with 8 assists and 3 rebounds in the Nets’ 114-101 loss to the Golden State Warriors. “That is where people remember them from. I want to build my legacy here. I got drafted to L.A., but I don’t want people to remember me from [the Lakers]. The Lakers had high expectations for Russell when they selected him with the second overall pick in the 2015 NBA draft. While Russell showed flashes of potential in being a great scorer and passer, his leadership was questioned after he was traded by Lakers president Magic Johnson. The former Ohio State star’s maturity also was questioned when a secretly taped video exchange with then-teammate Nick Young leaked out and damaged the latter’s relationship with singer Iggy Azalea. 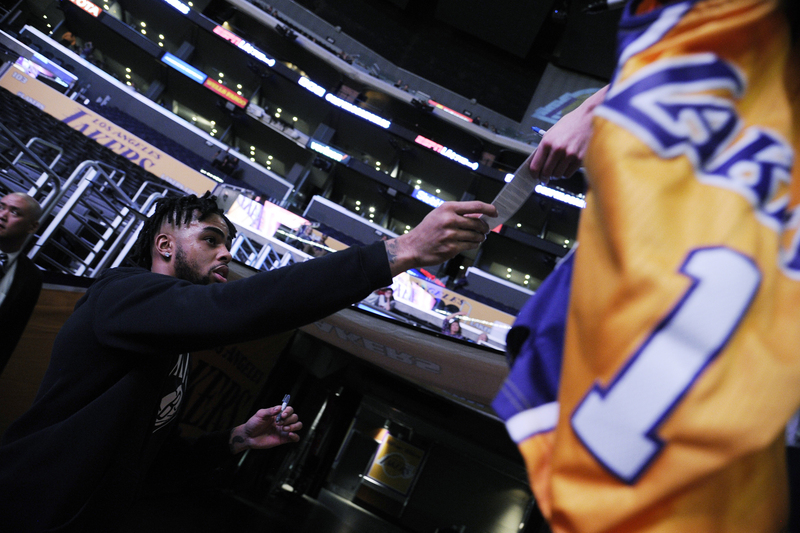 Russell, whose Snapchat reportedly was hacked, apologized, but the damage was done and cast a shadow over his averaging 14.3 points, 4.0 assists and 3.5 rebounds in two seasons with Los Angeles. The Lakers traded Russell and center Timofey Mozgov to the Nets for center Brook Lopez and a first-round pick in the 2017 draft. What do you recall most about the 2015 NBA draft, when you were surprisingly selected second overall by the Lakers? There seemed to be a lot of emotion at your table. What were your expectations and hopes at that time? There was a lot of emotion. It was a surprise. Nobody expected me to go second. Anywhere after two really was the expectation. I didn’t know anything about the organization. I didn’t know the market, being in L.A., and the pros and cons of that compared to being in Philly. Wherever I was wanted was where I wanted to go. My people were like, ‘You want to be in L.A. Trust me.’ I was like, ‘All right.’ It played out well. How do you look back on your two seasons in Los Angeles? It was good. I learned a lot from it. It opened my eyes a lot in terms of the business standpoint of this league. It just gave me a better blueprint on how to be a professional. 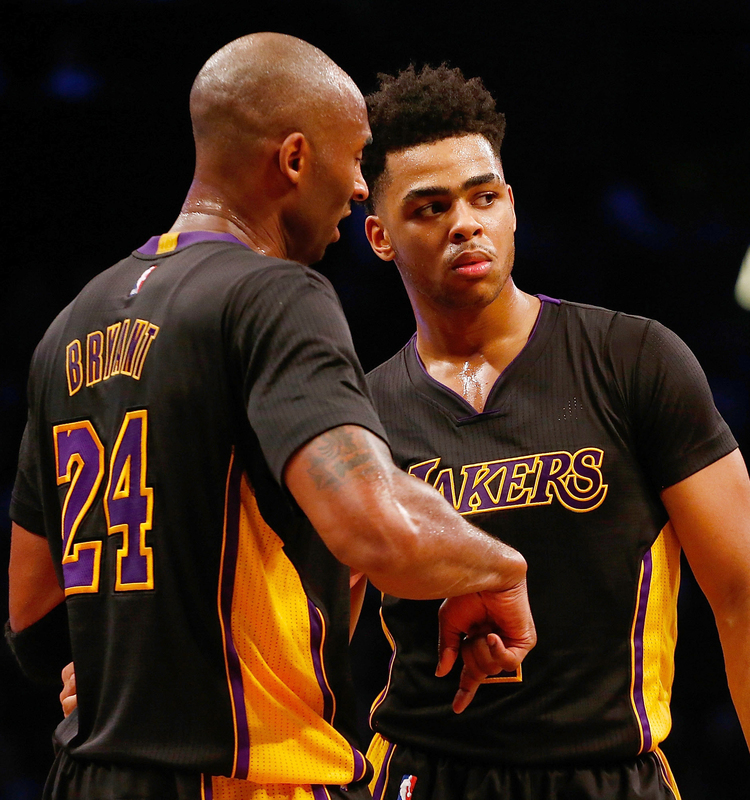 What did you learn as a rookie from being a teammate with Kobe Bryant in his last season? I learned a lot. I learned how to go to a business type of approach toward everything, what it was to go work for something. I saw the respect that everybody had for him around the league. That’s what you want to get to throughout your career. You want to get to that point where everyone respects. On your way out, there is no better salute than congratulations. You entered the NBA after one season at Ohio State. Is it difficult to go into the NBA with expectations at 18, 19, 20, to be an adult? It depends on where you go. If you’re in Hollywood, it is different. But if you’re in Milwaukee, maybe it’s different as well. I feel like it depends on the situation. Was Los Angeles too much? No, I wouldn’t say that. It was just different. I wouldn’t say it’s Milwaukee. It’s where the media circus is. It is where everyone is watching to get the new news, so it was just different. Everything is magnified. How did you take the trade from the Lakers when you found out? I kind of expected it. I feel like when a lot of guys get traded, you kind of expect it. In L.A., everything is magnified. This being the topic of discussion, it usually happens. When did those expectations arrive? It was summertime for me. I was training, going to the [Lakers’ practice] facility. Going home, training on my own. I ended up being at home when I got the call. Nah. Hell no. I knew it was a business and I expected it. I was already two weeks ahead of being upset, being past that. I was more like, I wanted to go somewhere where I could take advantage of what I bring to the table, and Brooklyn was a great place. What was interpreted wrong while you were there, and what could be interpreted better? My image. It was what it was. I went through what I went through, and my image was kind of what people know me by and not what I was or who I was. The rest of the time I was there was rebuilding my brand and rebuilding my image. Did talk about what happened with Young get old as well? It happened, and I couldn’t really change people’s mentality of it. Going how I went about it [afterward], I could control that part. I control me being a positive guy and a workhorse, a gym rat and being known by that instead of what the situation was. Did you take any motivation from Johnson saying after the trade that you needed to be a better leader? No, I don’t really. … No. Why do you think that Brooklyn is a good place for you? There is a lot of opportunity here. It’s an organization that is on the rise. No one really knows what this organization is about. I feel like with the staff we have and the players that we have, we can work together to make it become something. Winning in New York is different. And Brooklyn being a complete separate borough, the fan support is amazing. Everything is amazing. Having played in the Los Angeles and New York markets, what is the good and bad in playing in the United States’ two largest media markets? I think it’s good besides the rent you have to pay for your housing, stuff like that, taxes that come with that. I think it’s great. You get to explore being in a big market and taking advantage of it. And everything is magnified. You really have to watch what you do and watch what you say or you can be taken advantage of. It could get you from a negative way or positive way. From that standpoint, you learn from it. And then you go to another market that is not as big as New York and L.A. You have to learn to fit in that way. Once you go to the biggest market and go to another market, it’s easy to adapt to it. What would it mean to you to hit the top stride that you have the talent to hit? People don’t realize the hardest thing is staying in the league. Once you get there, that is cool and all. But staying in the league and supporting your family, that is the main goal that you want to have. Once I hit my stride and become the player I know I can become, those accolades will handle itself. How different are you from the guy the Lakers drafted? I feel a seasoning. I have to learn where to go as far as experience, but I feel like I’ve been through a lot. Not a normal three years. It has molded me into the player and the person that I am today, and I wouldn’t change it for the world. You got off to a great start with the Nets before having arthroscopic left knee surgery on Nov. 17, 2017. [Russell was averaging a team-leading 20.9 points and 5.7 assists in 20 games at the time]. How did you feel about the way you were playing? I thought it was great. Coming into a new situation, I thought I handled it well. Everybody welcomed me with open arms. It made it that much easier to fit in and establish what I brought to the table. After having the knee injury, it’s literally a step back for a major comeback, my comeback right now. Do you feel like you’re back from your knee injury? I feel like it’s a process with a long season ahead. It’s hard to say you’re fully back when you don’t really have the proper rest and the proper tools to get there. You just have to work with what you have. And I think I am doing a great job managing it. What is living in the Brooklyn area like? It’s different. It’s not L.A. But it’s different adjusting to the New York culture. Brooklyn culture is different than living in Manhattan, so I am just trying to adjust to that. The weather is different. Everything is different. Have you ingrained yourself in anything in Brooklyn? It’s cold. I just try to stay in the house as much as I can. Go to work. Come back. Stuff like that. You played in L.A. with the Lakers, where the Clippers were always viewed as the secondary team. Is such the same thing in the New York area, with the Knicks being the more popular team than the Nets? You definitely feel it. But neither team has really separated itself. I feel like there are a lot of die-hard Knicks fans in New York. 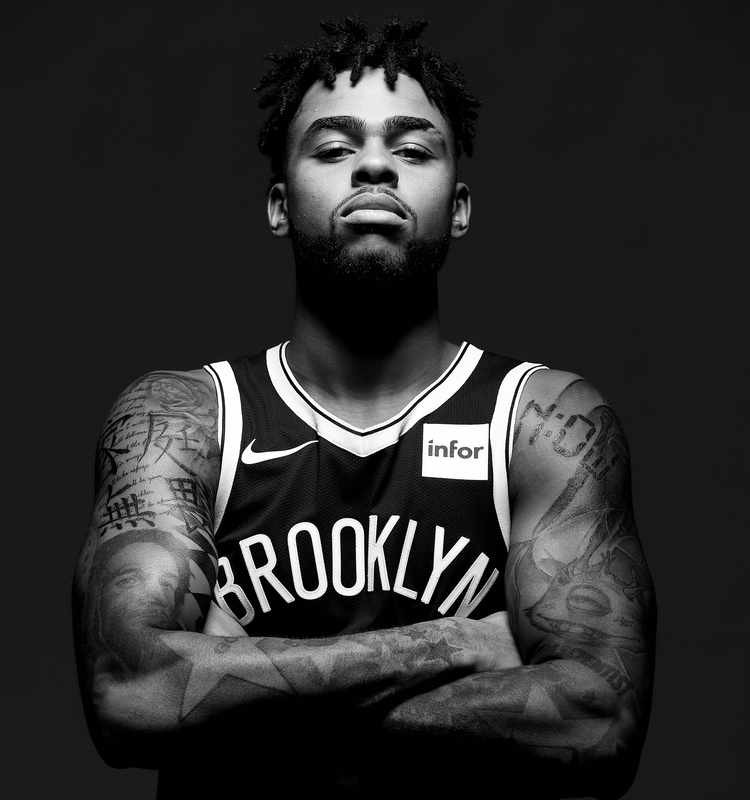 But if we take off before the Knicks as far as playoffs and all of that, I feel like a lot of those fans will become Nets fans. Being the underdog, I enjoy being the underdog. A lot of people come out and you see what they’re made of. I think we have a lot of guys with that personality on the team that are used to being the underdog. They thrive on that type of situation. I play pool. I try to do inside things. Like I said, it’s cold. When the weather is warm, like out in L.A., I would paintball and do stuff like that. [In Brooklyn], finding a new hobby is an adjustment, and I’m trying to figure it out. I had a pool table. I grew up playing pool in Boys & Girls Clubs. I had a dorm situation in high school where pool and pingpong was our thing. What do you know about Brooklyn culture? I don’t really know too much about it. I know [the rapper] Biggie. They live and die by that. It’s New York. It’s the middle of New York. The heart. I feel like Brooklyn is the heart of New York. Playing in that city, you can feel it in the atmosphere. They want it so bad. The support is always there. You just want to repay the fans and give it back to them. What was your toughest time with the Lakers, and what gave you the most motivation? The media out there is what it is. That is where it starts and that is where it ends, so you hear all the crazy things. It all built up over time, which gave me a chip on my shoulder. I had that chip on my shoulder going into this season. Before I got hurt, I feel like I was putting a hush to all of that. But injuries haunted me. If I didn’t get hurt, I would be working toward that stride that we are talking about, that promising future, promising talent. Everybody is talented in this league. But the guys who are doing it every night know the guys that are going to bring it every night. I think I will become one of the players. That goes back to what I said: ‘A minor setback is welcoming a major comeback.’ That’s where I am focused right now.